Below are the questions I answered on Catholic Answers Live on Monday. 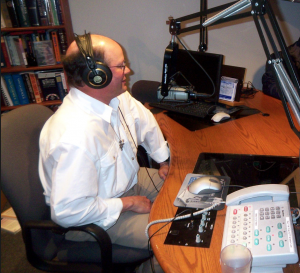 The topic was “Homosexuality and the Bible.” You can listen to the archived show HERE. For more options or other listening options, click HERE. For my articles on homosexuality, the Bible and the Church, click HERE. 1) Jude 7 (men of Sodom “indulged in gross immorality and went after strange flesh”). 1) What is homosexuality? Is it the inclination or the acts? 2) In my area many Catholics are speaking favorably about homosexuality. How should I address and oppose this trend? 3) If someone rejects the Bible and Christianity, how can I discuss the disordered nature of homosexuality with them? 4) How does the exhortation in Matthew 18 about confronting one who sins against you apply to this situation? 6) How should we relate to homosexuals? 7) What was the sin of Sodom? Was it really inhospitality as some people claim? If Romney wins the election I will donate $100 to message board. Brother, we loved your talk in Oman. I have a small doubt regarding death of a loved one and celebration of a christian festival after that. Is there anything like, if someone in our family has passed away, we are not supposed to celebrate christmas or easter as a sign of repentance?